Umbrella insurance is a form of liability or casualty insurance that protects the assets and future income of the policyholder above and beyond the standard limits on their primary policies. 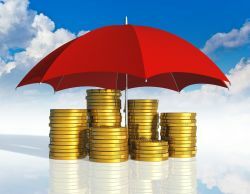 As its name suggests, Umbrella coverage is an encompassing commercial liability insurance coverage that is able to “drop down” to fill coverage gaps or to supplement underlying policies if limits have been exhausted. It provides additional liability coverage above the limits of your prevailing general liability policy. In the event of a catastrophic event, where damages awarded to the plaintiff exceed the limits of your Commercial General Liability insurance, a Commercial Umbrella Policy can provide your business with additional liability protection. Usual coverage also includes personal injury, contractual liabilities, and extension of coverage to business partners. Unlike excess insurance in that excess coverage, which goes into effect only when all underlying policies are totally exhausted, Umbrella insurance can be used on an ad hoc basis if the policy form allows it. In some cases or industries, an umbrella policy can be used as the primary policy “on the risk” in certain situations. The term “umbrella” refers to how the policy shields the insured’s assets more broadly than primary coverage. Other carrier may limit coverage on a follow through form, i.e. it will provide additional limits if there is an underlying policy. Each carrier offers their own umbrella forms. Consult the experts at Commercial Global Insurance. We represent many A & A+ rated carriers who will write Umbrella Policies.